We retrospectively identified autism spectrum disorder (ASD) incident cases among 31,220 individuals in a population-based birth cohort based on signs and symptoms uniformly abstracted from medical and educational records. 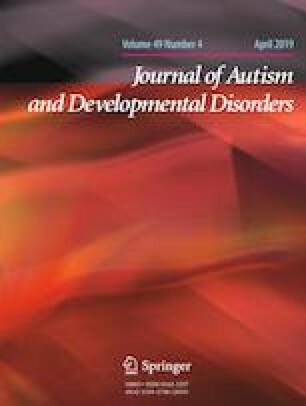 Inclusive and narrow research definitions of ASD (ASD-RI and ASD-RN, respectively) were explored, along with clinical diagnoses of ASD (ASD-C) obtained from the records. The incidence of ASD-RI, ASD-RN, and ASD-C increased significantly from 1985 to 1998, then ASD-RI and ASD-RN plateaued while the rate of ASD-C continued to increase during 1998–2004. The rising incidence of research-defined ASD may reflect improved recognition and documentation of ASD signs and symptoms. Although the frequency of threshold ASD symptoms stabilized, the rate of ASD-C continued to increase, narrowing the gap between clinical ascertainment and symptom documentation. Robert C. Colligan is Deceased. The online version of this article ( https://doi.org/10.1007/s10803-018-3834-0) contains supplementary material, which is available to authorized users. The authors wish to acknowledge Dr. Leonard T. Kurland for his vision in initiating the Rochester Epidemiology Project and Dr. Robert C. Colligan for his insight, enthusiasm, and collegiality across his 47 years of research in developmental disabilities at the Mayo Clinic. We also thank study coordinators Ms. Candice Klein and Mr. Tom Bitz and other members of the team for data collection, Ms. Sondra Buehler for assistance in manuscript preparation, and Independent School District No. 535 for their cooperation and collaboration. SKK, SMM and RGV conceived of the study, participated in its design and coordination, supervised all aspects of the study and drafted the manuscript; RES, JDP, ALW, and CBS participated in the design and interpretation of the data; and CBS and ALW participated in the design of the study and performed the statistical analysis. All authors have read and approved the final manuscript. This study was funded by research Grants from the National Institutes of Health, Public Health Service (MH093522 and AG034676). Medical research involving human subjects includes research on identifiable human material or identifiable data. All procedures performed in studies involving human subjects were in accordance with the ethical standards of the institutional and/or national research committee and with the 1964 Helsinki declaration and its later amendments or comparable ethical standards. For this type of study formal consent is not required. This article does not contain any studies with animals performed by any of the authors. This retrospective study of medical records data did not involve any participant contact. Lundstrom, S., Reichenberg, A., Anckarsater, H., Lichtenstein, P., & Gillberg, C. (2015). Autism phenotype versus registered diagnosis in Swedish children: Prevalence trends over 10 years in general population samples. BMJ. 350, h1961. https://doi.org/10.1136/bmj.h1961. Office of Autism Research Coordination (OARC) National Institute of Mental Health and Thomson Reuters, Inc., on behalf of the Interagency Autism Coordinating Committee (IACC). IACC/OARC Autism Spectrum Disorder Research Publications Analysis Report: The Global Landscape of Autism Research, July 2012. Retrieved from the Department of Health and Human Services Interagency Autism Coordinating Committee website. Retrieved September 19, 2018 http://iacc.hhs.gov/publiations-analysis/july2012/index.shtml.